My first fan letter from Oz. I have only this morning finished reading Though Not Dead which I enjoyed more than others concerning Kate and her adventures. It was fascinating how you incorporated Alaskan history (of which I know very little about) into this special book. “Uncle Sam” was quite a man, in all senses of the word!! When you consider he wrote from Australia to my large print publisher in Maine, who then forwarded the letter to the Homer Bookstore, who then passed it on the next time I was in town, I find it kind of astonishing that it only took 17 days to reach me. My reply took a more direct route. 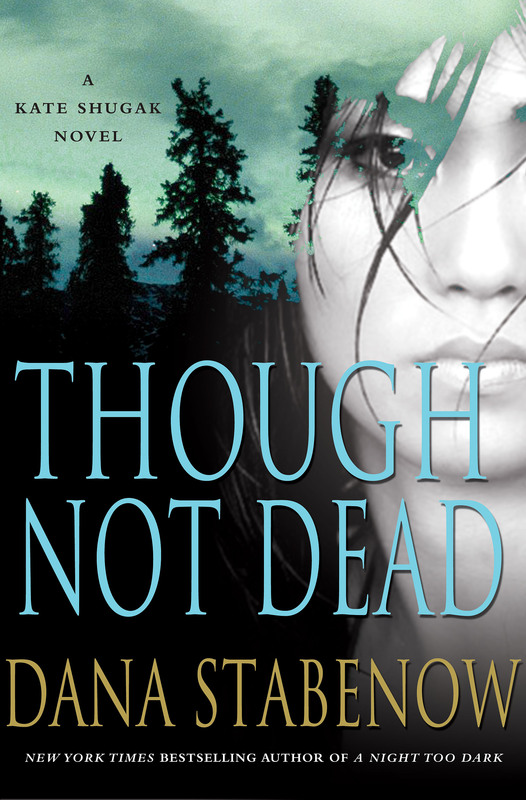 Though Not Dead and all my books available for download here. I was reading your Facebook timeline….whew, how do you have the time to write with everything you post to that, plus your other sites! Anyway, I was commenting on your question about would we still read you if you got rid of all the social media sites and wrote only one book a year. But, Facebook being what it is, the site kept cutting me from one page to another and resorting the content so I lost the location……and couldn’t find it again…….can you tell I’m not a Facebook fan?…..haha! In answer to your question…..of course I would still read your work if you dumped all these sites….of course I would read your work if you wrote only 1 book a year. After all 1 book a year would be of your usual great quality. Whereas 12 books a year becomes basically a hack job. I have been following a comedic mystery writer who has recently started writing several books a year. I can read her books in one day now, and they are no longer satisfying. The plots are predictable and trite, with no meat on the bones. I started your series of books last year and have now read them all. I love your plots and sub-plots. I was born 2 1/2 months after you. My dad introduced me to “the public library” when I was eight, and I haven’t looked back. Yet despite my years of reading everything I could get my hands on, you are one of very few authors that can still confound me, keep me on my toes and interested in the entire book. Please keep your quality and your desire to write the way you do. Dump the social media if you want, or pare it way back to one web site, or whatever you feel you need to do. Just do what you need to do to be the writer you want to be. Ps: the first Sf novel I remember reading was Andre Norton’s Beast Master. I wanted so badly to believe there was life on one of those stars I could see out the window. I read that book 3 times, then asked my mother if I maybe I could have the book for Christmas or a birthday. She said why you have already read it? But 44 years later I finally got a old dog eared copy from eBay, and it was exactly as I remembered it. Your books have moved ahead of even this one to become my favourites. First of all, Judy, thank you so much for the lovely compliments. Andre Norton is fine company to be keeping, and like you, I wanted so badly to believe that there is life in them thar stars. There is, so long as there are writers like Norton. About the Facebook post–mostly I was reacting to another author in the NYT (can’t even remember who now) who said that authors today had to (HAD to, mind you) social network if they wanted to sell books. Sometimes I think I never matured beyond the age of 12, because anytime anyone tells me I HAVE to do something, my reaction is less than adult. Have to, my good hind foot, I social network because it’s fun, and because I read the rules of each site and make each one as labor unintensive as they allow. So I shot off my mouth and the result was as you saw. I’ve been doing this for long enough now that you’d think I’d have learned better. Nope. Oops, sorry….the Facebook resorting changed the page with your question on it before I could read the newspaper article. I misunderstood. I don’t like the timeline feature on Facebook…..and I barely use it! Again I don’t know how you find the time to manage the copious amounts of postings to the numerous sites that you do. Would you do me a favour and delete my previous posting, as well as this one? Please? Thank you, cause I feel the “right fool” now. If you want me to, Judy, I will, but I see no reason for you to feel foolish. You’re in great company, in fact: I don’t think anyone who commented on that post read the article. And right there with ya, buddy, on the Facebook Timeline. I love your books. Are there anymore Kate Shugaks books coming, or Liam Cambell. Great reads. Thanks, Jack! The 20th Kate Shugak novel, Bad Blood, will be out on February 19th. Now to look weekly for the first chapter teaser.